Today was a beautiful day! I decided it was the perfect day to try out Corner Taco, a place I have heard about for quite some time. Corner Taco is a food truck that moves around quite frequently. However, if you follow them on Facebook they notify you of where they are going on a regular basis. 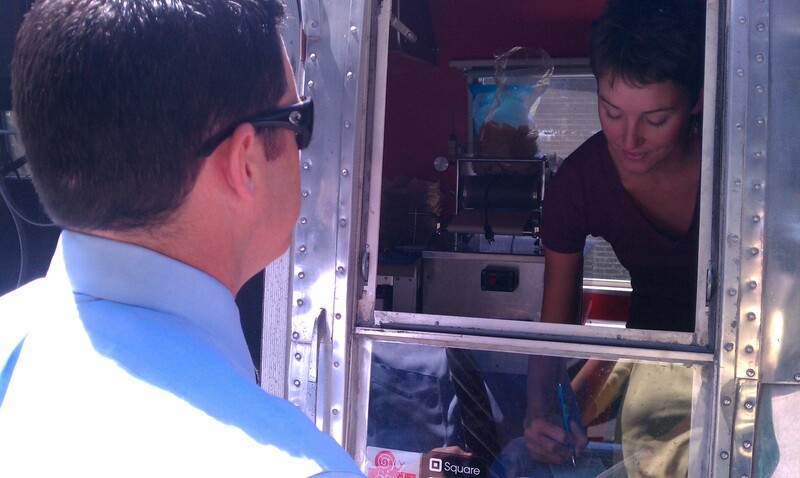 Once I had my heart set on going, I invited my friend Jennifer and my brother Neil (placing his order above). The staff was super nice. Once I told them I wanted to take photos and write for my blog they wanted me to know all about their creations. Every day, before they open, they cut all of their vegetables, cook their meats and make their corn tortillas on site. They even invited me into their awesome food truck to see their corn tortilla maker. They said this thing can make 1,000 corn tortillas an hour. They make close to 140 each day for their food truck and informed me the only one of its kind (outside of the ones in Mexico) is at Epcot. These corn tortillas are legit they were tasty and not one time did they fall apart in my hand like most other corn tortillas do. Usually I have to double up! 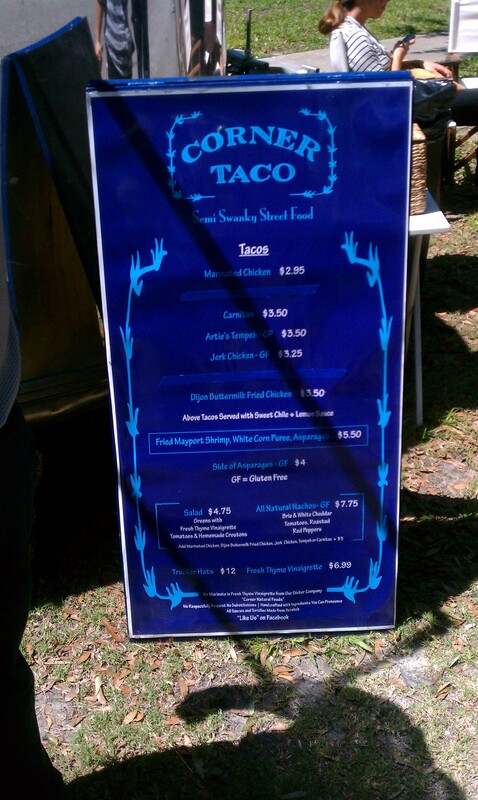 I ordered the Tempeh taco and the Carnitas taco. They were so delicious, I wished I ordered another one. 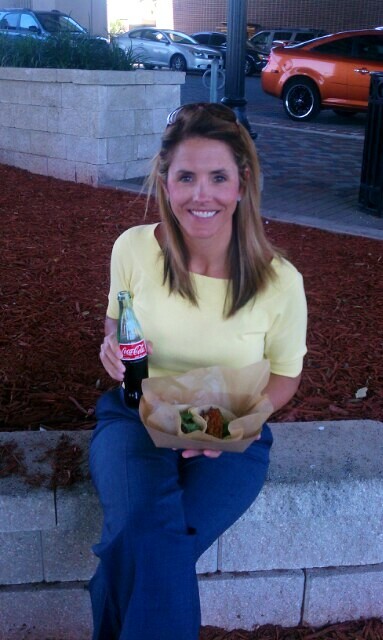 I was forced to forgo my usual Diet Coke for a Cane Sugar “Mexican” Coca-Cola which was so delicious! That looks great – nothing better than fresh tortillas. Thank you for reviewing Corner Taco!